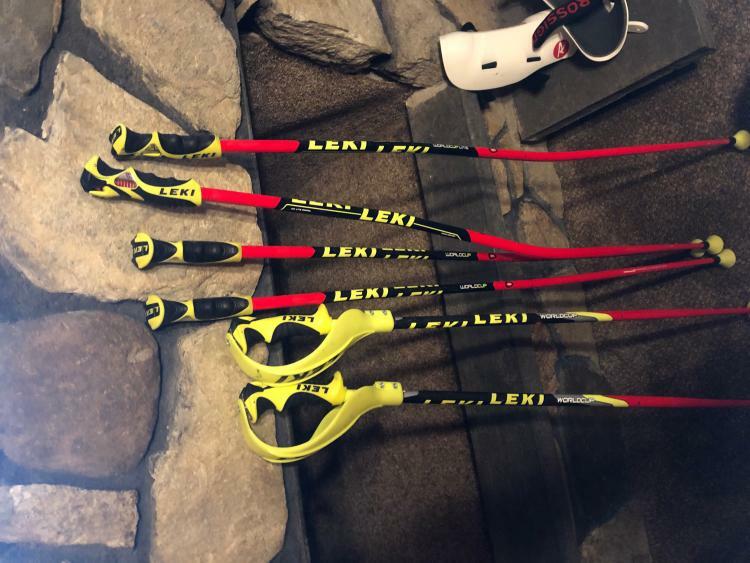 Some race gear if your kids starting Have 42 inch slalom Leki trigger s with guards GS World Cup lites trigger s in size 46 and 48 inches Poc red skull orbit X fis approved with white chin guard mounts to helmet. 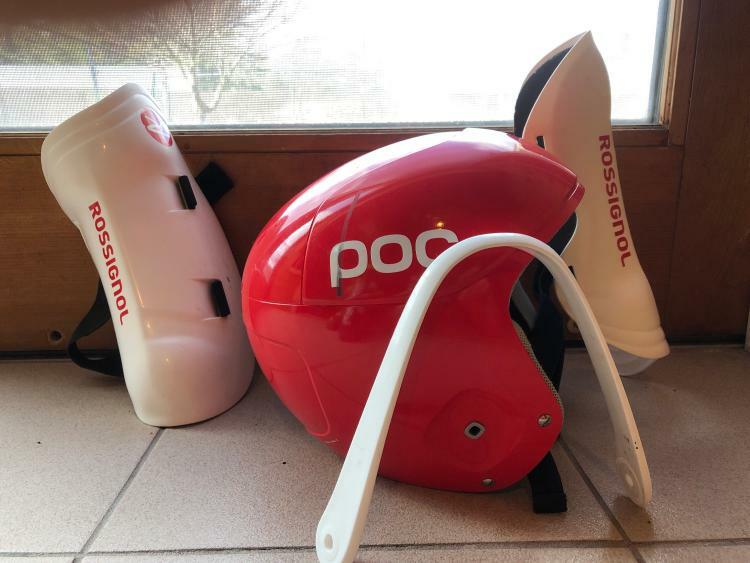 White Rossi shin guards fit up to a smaller U 14 . If you have kids racing make an offer.